After you get engaged, one of the most exciting things for a bride-to-be is picking out the perfect wedding gown. 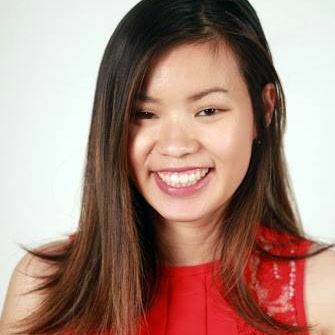 Plenty of women have fantasized about their dream dress since they were little girls, so when they walk into the store, most of them know exactly what they want. Even though their vision might not bode well with public opinion, it won't stop them from getting it anyways. 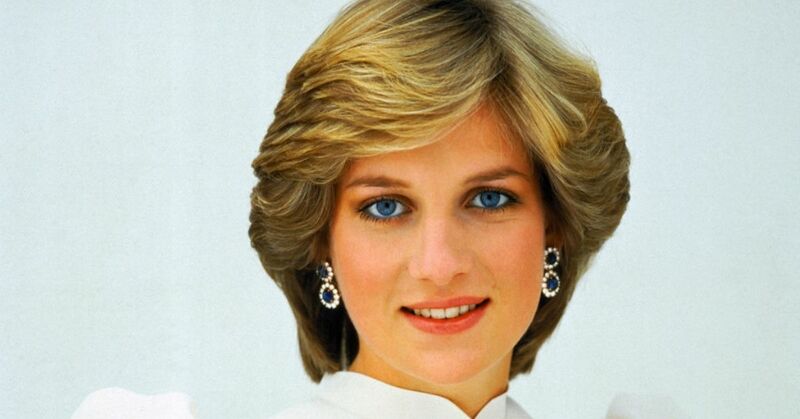 Maybe these women will even inspire you to dress outside of the box on your big day too. 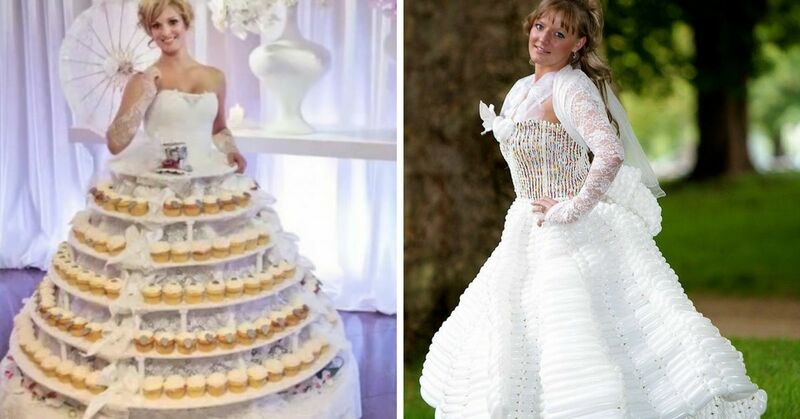 From handmade dresses to Haute-Couture gowns, here are 19 of the most outrageous wedding dresses that'll get everyone at your wedding talking. 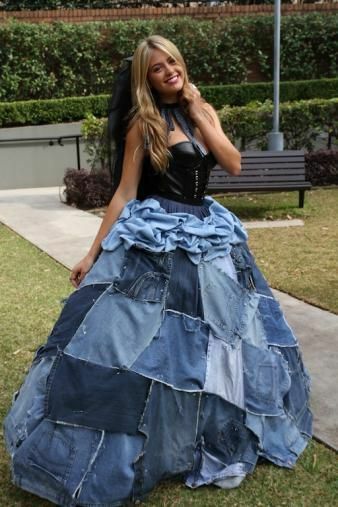 This wedding dress of leather and jean fabric would be perfect if paired with a groom's Canadian tuxedo. It's just too bad we don't live in the 90s/early 00s anymore. No these aren't spoons, and they aren't forks either. 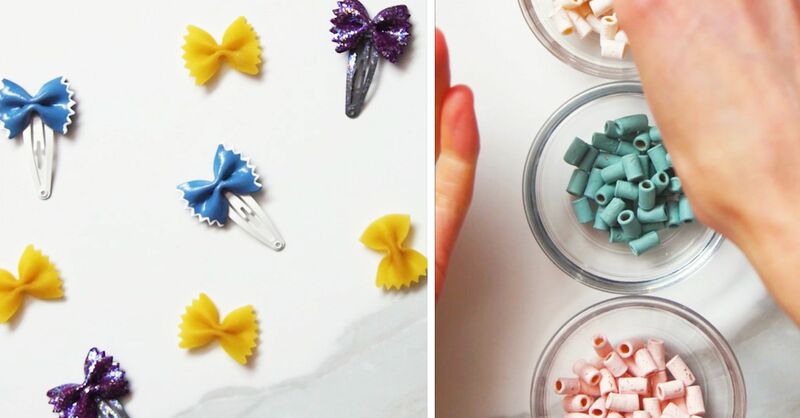 These are "sporks" and the multi-purpose use of them are perfect for cutting costs at your reception. 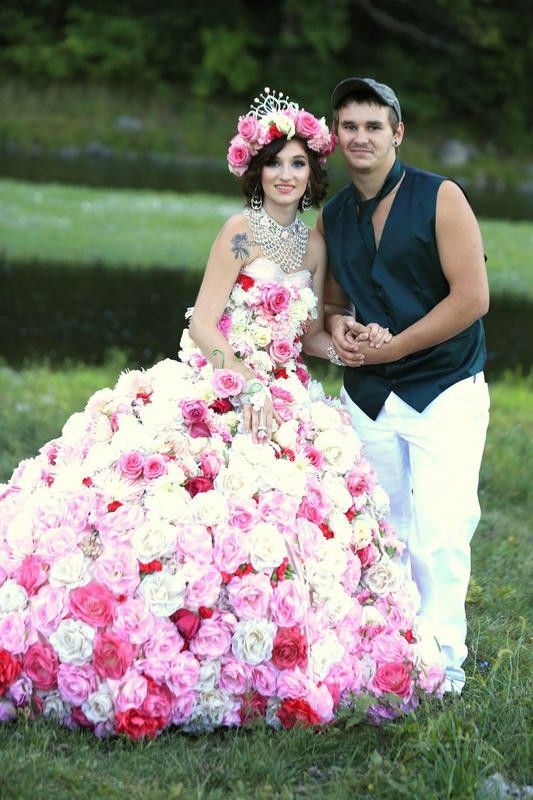 I have so many questions for this blushing bride: is she wearing clothes underneath? How do each sections stay perfectly round, and most importantly, where are her arms?! You may smell great, but who wants to water their dress throughout their wedding ceremony? 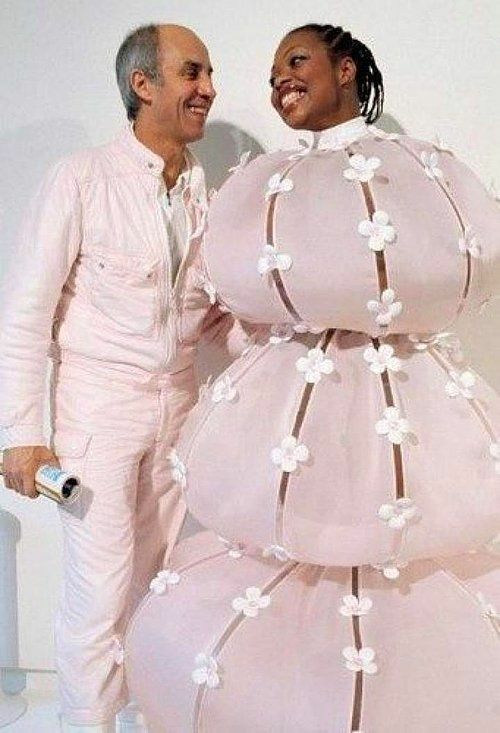 One wrong move and pop goes her dress. I hope she has strong leg muscles because I can't imagine she'd be able to sit down. 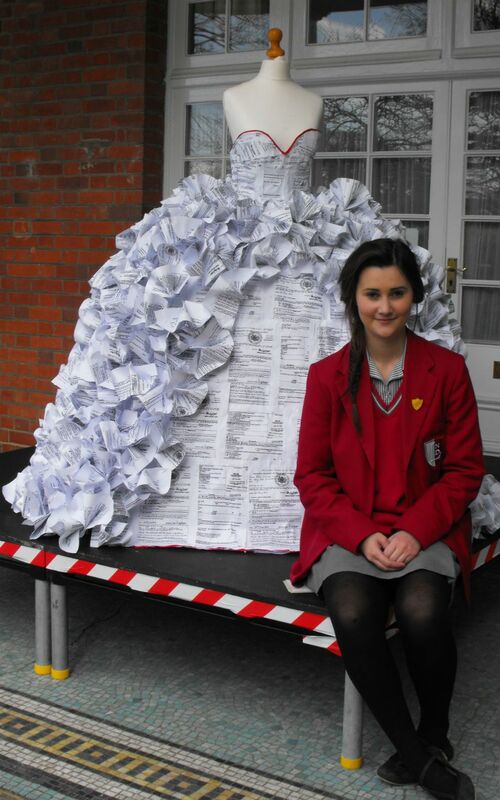 This 15-year-old fashion designer used 1,500 photocopies of divorce papers to create this wedding gown. It probably took her longer to complete than most marriages last these days. 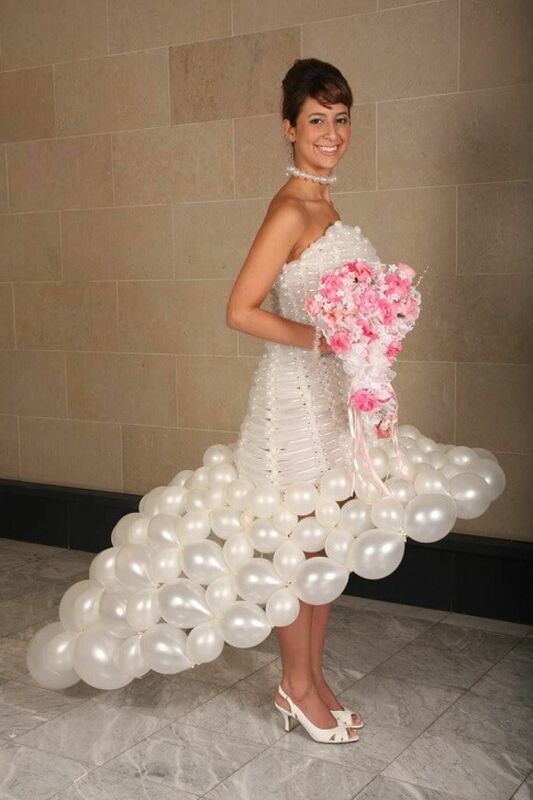 Another multi-functional dress, who wouldn't want everyone eating their dress on their big day? 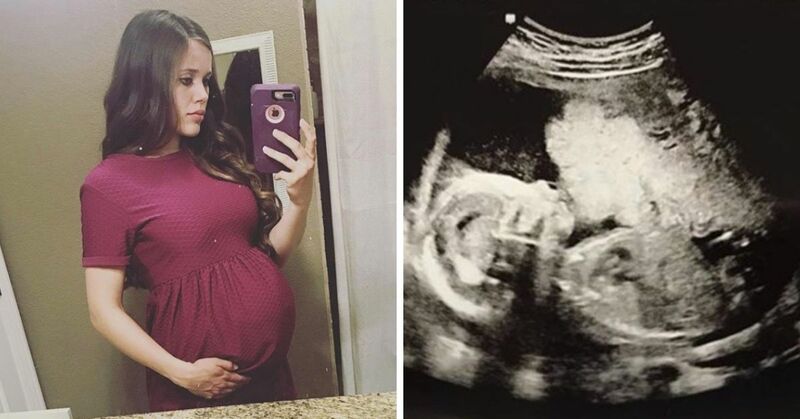 If you look closely, you'll notice this isn't just your ordinary homemade, checkered dress. It's actually made out of 10,000 bread tags. Plus it only cost her $38 to make! 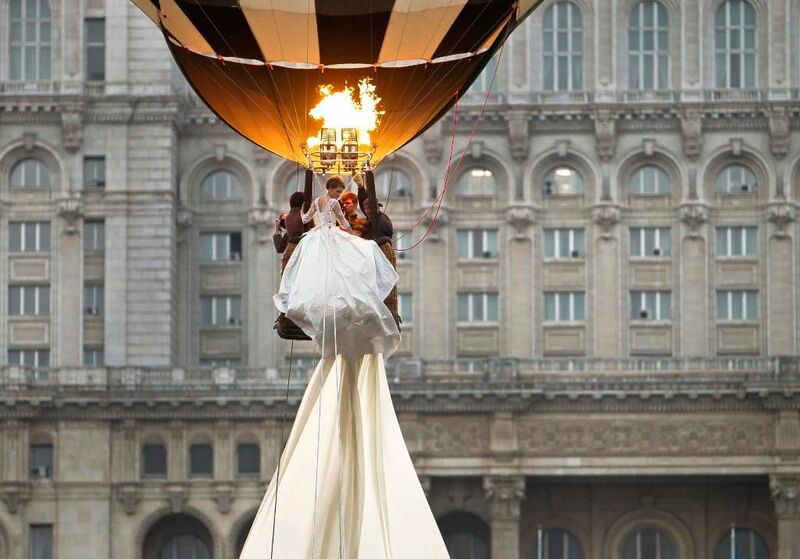 While it might seem odd that this woman is dangling out of a hot air balloon, she's actually doing it to show off the 1.8 mile bridal train - which Guinness World Records has dubbed the longest in the world. 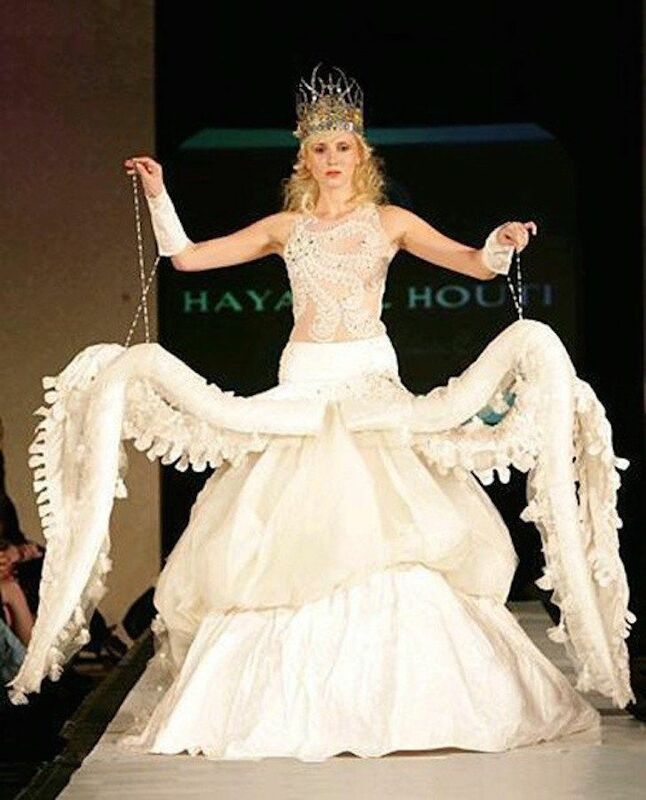 While it's one-of-a-kind, I would hate to walk with this down the aisle! 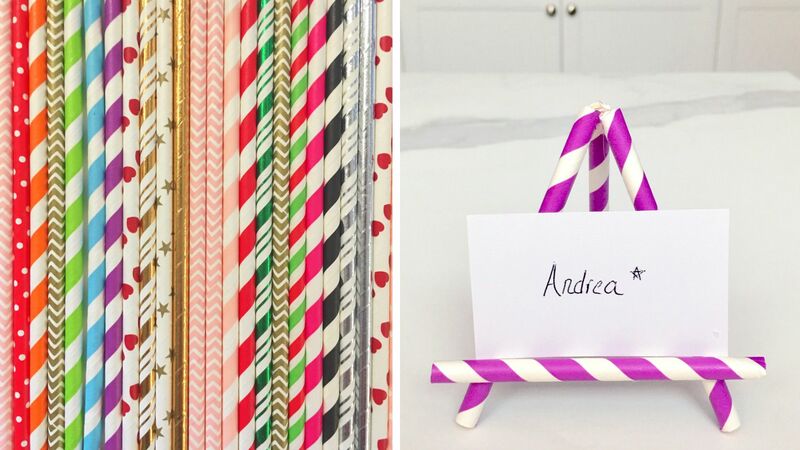 It's your wedding day and you should be the center of attention. If your guests didn't know that already, just turn on your wedding dress - everyone will definitely be looking at you, a truly glowing bride. 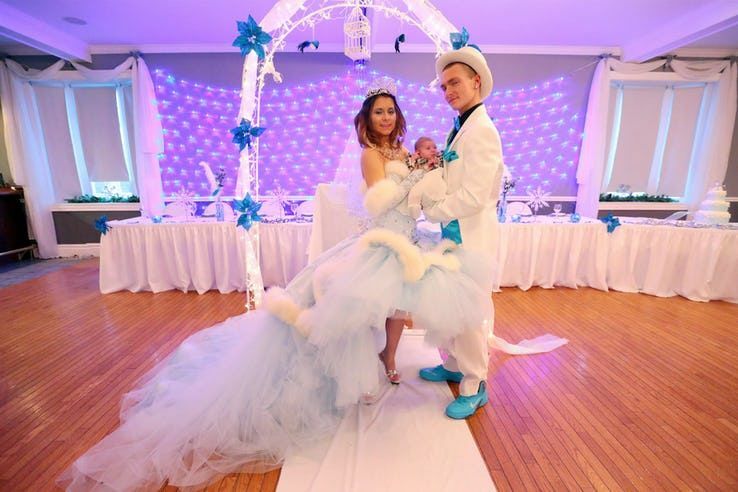 While this dress may give you flashbacks of Elsa in Frozen, this dress took much longer to make compared to a flick of a wand. 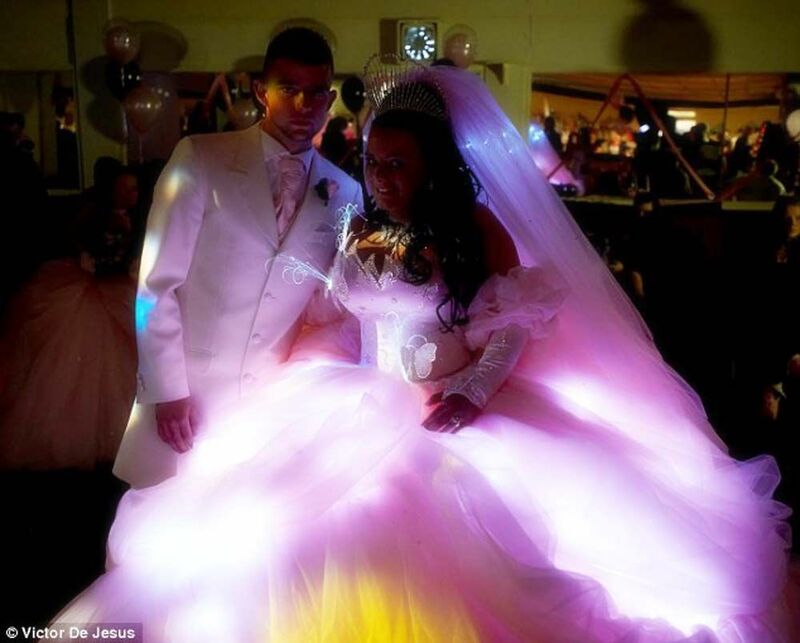 It consists of 300 yards of tulle, 100 yards of satin, and a white fur trim. I hope these garbage bags are stuffed with something other than trash, or else her guests will definitely be talking about her - for all the wrong reasons. Although it may seem like this woman is wearing a fairly transparent corset, her top half is actually covered in white body paint! 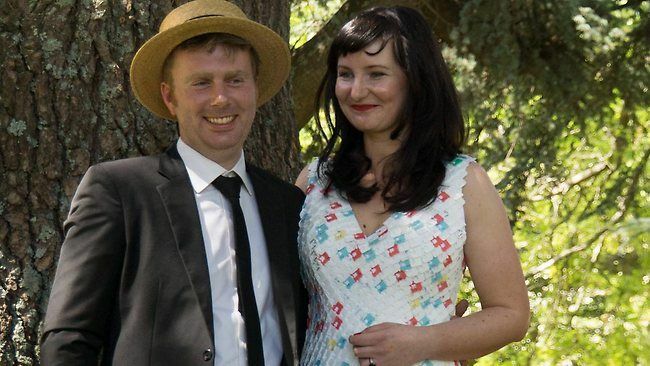 Take a closer look and you'll notice this bride's belly button. 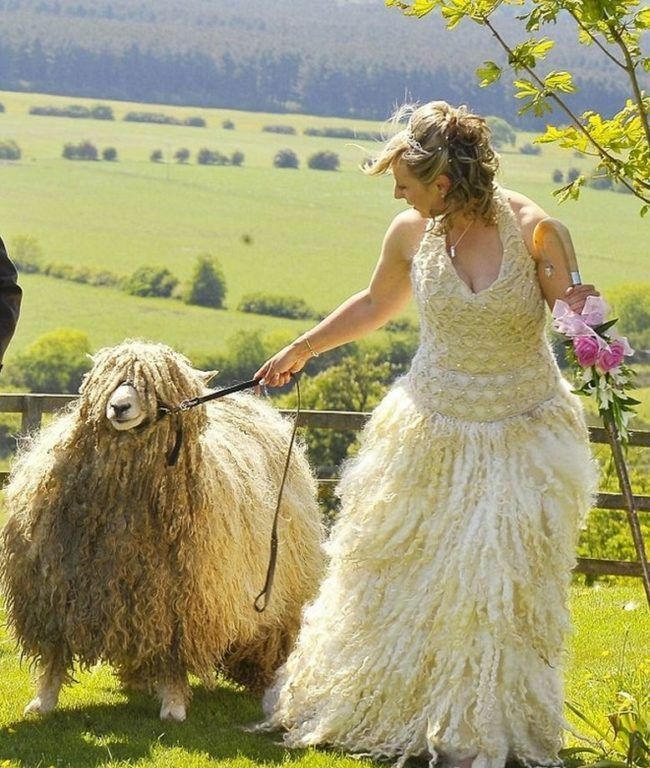 For most women, wool wouldn't be the go-to fabric choice, but this bride couldn't imagine wearing anything that wasn't made out of her favorite sheep's fleece. She's really giving Little Bo Peep a run for her money! 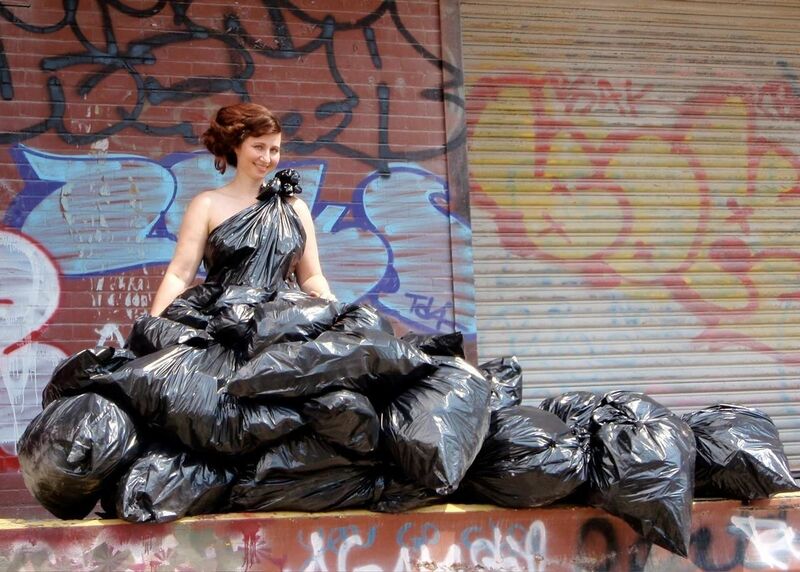 While some people throw out their plastic bags without a second thought, this woman collected enough to create her perfect wedding ensemble, plastic crown and all. Hopefully she washed them beforehand. 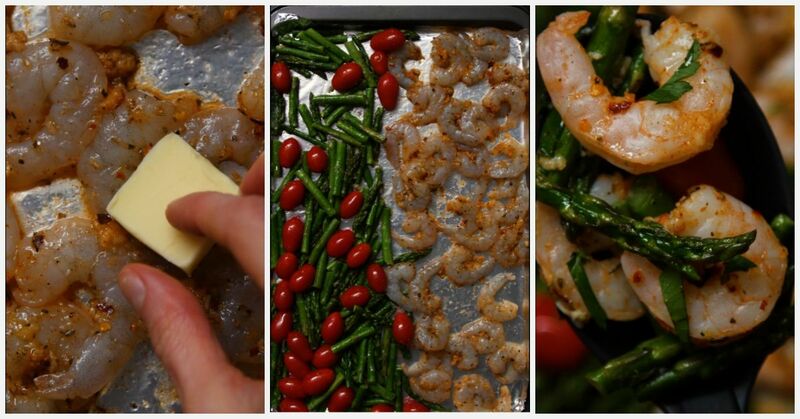 It's your big day, and you should go all out. 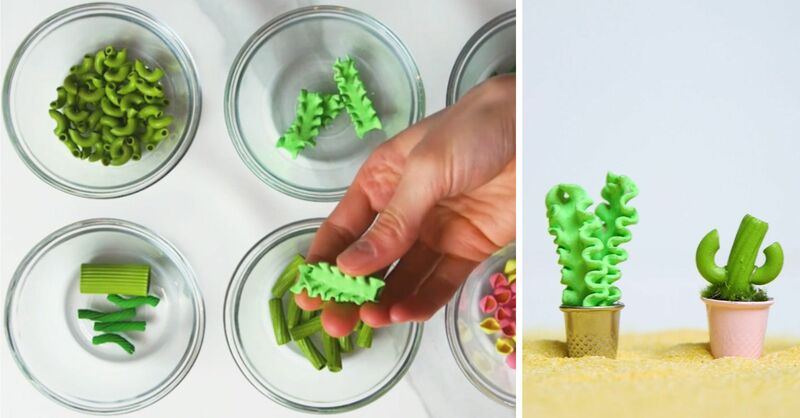 Get the tastiest cake, say the most heartfelt vows, and wear a dress with four tentacles, an absolutely perfect combination. While some women wouldn't be caught dead in this hairy situation, some may be more fearless than others. 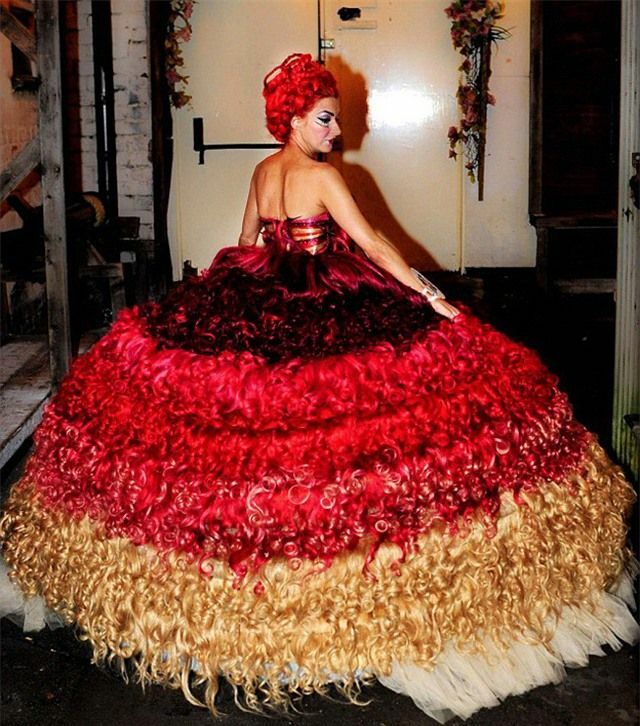 This colorful gown is made from 250 meters of hair and weighs about 205 pounds, and took nearly 300 hours to complete. It's important for people to carry condoms with them should an unexpected intimate moment arise. 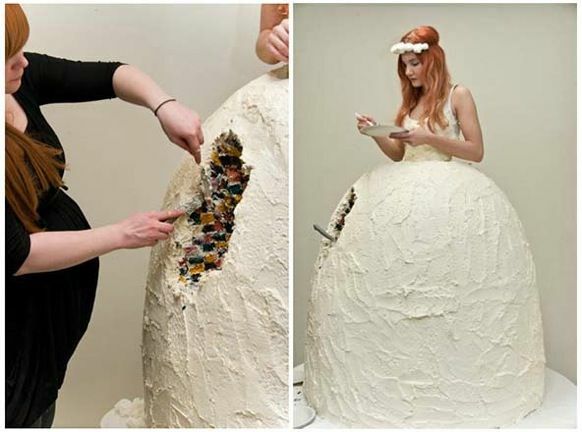 Luckily, this bride is wearing enough for all her guests to grab a few... but maybe not with their mouth. 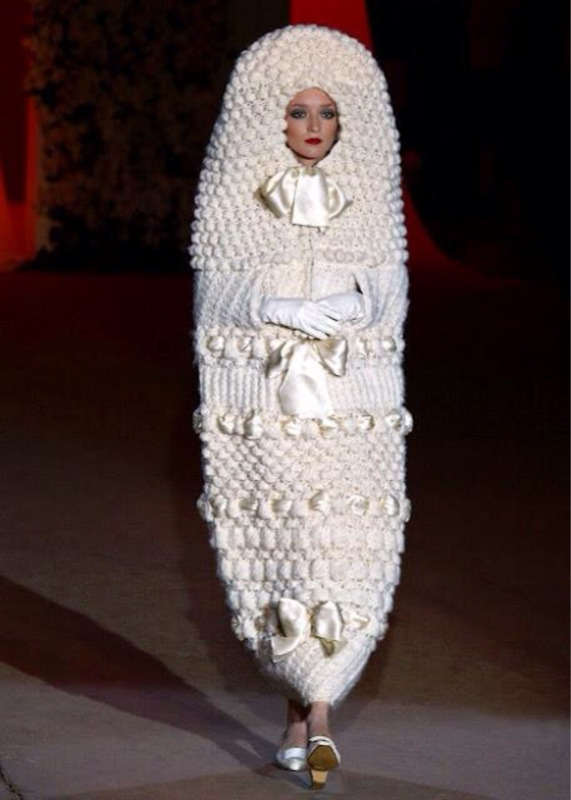 Last but not least, this dress -- which resembles a knitted tampon - is actually a Haute-Couture one-piece designed by Yves Saint Laurent, and probably worth more than the rest of your wedding combined. 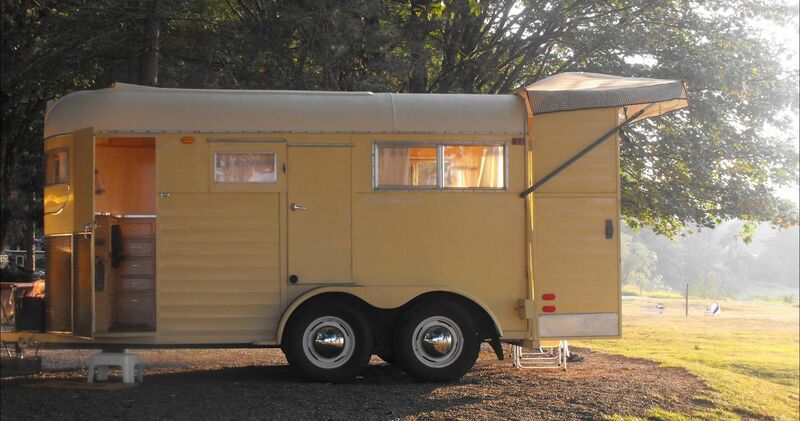 I came across this story on Facebook and I must admit - the idea of repurposing an old horse trailer had never occured to me. When I saw how beautiful the inside was I was in shock. 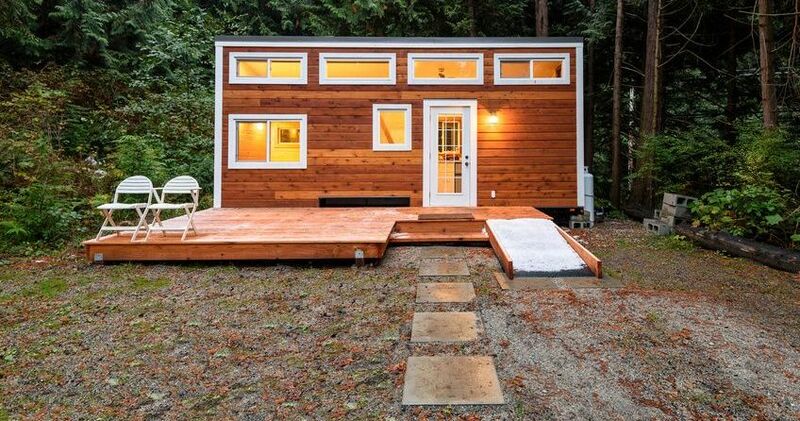 I never imagined it could be so spacious and offer so much.This past August, a man named Fred Cote from Keremeos, British Columbia, purchased this 1970 horse trailer and set about transforming it into a livable space.